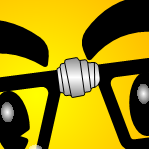 If you actually read the articles on Visio Guy, then chances are you have braved the world of the Advanced User. This might have involved creating Shape Data fields, linking those fields to text, creating a custom Data Graphic or, *gasp*, even venturing into the ShapeSheet. Update: things have changed since Visio 2007. If you’re using Visio 2010 or newer, check out How to Show the Developer Ribbon Tab (and Why). The check box for “Open each ShapeSheet in the same window” is right under “Run in developer mode”, so check it while you’re in the dialog. You won’t have to ask; “Where are the menu items listed in 3-6?” every time I mention them in a Visio Guy article. You’ll be able to find out Shape IDs using Format > Special. This will allow you to make nifty Smart Shapes that use cross-sheet formula references. You’ll feel like a Developer! You’ll find “Run in developer mode” right at the top of the dialog. Give it a check. While you’re in this window, you’ll also want to un-check “Open each ShapeSheet in the same window”. If you do any ShapeSheet work that involves referencing cells in different shapes, this option will drive you absolutely mad. Turn it off. Turn it off! Once you’ve activated developer mode, you can then simply right-click on any shape, or even the page to get at the ShapeSheet. The very top item in the context menu will now be: Show ShapeSheet! This option attempts to keep the user-interface streamlined and clean. 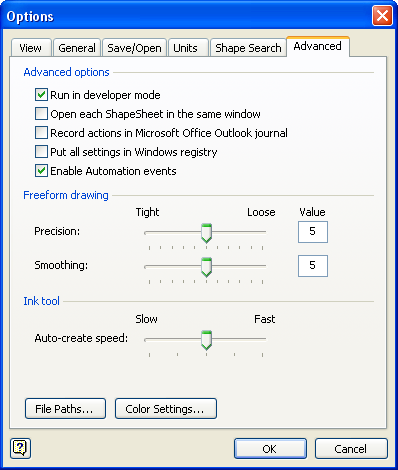 With this option checked, you will only be able to show one ShapeSheet window at a time. That is, every time you choose “Show ShapeSheet”, the same sheet window will get re-used! I personally don’t like this mode, because I usually want to see multiple ShapeSheet windows. Often, I am working with a sub-shape that needs to reference User-cells or Shape Data in the parent group’s ShapeSheet. It’s simply easier to have the group’s ShapeSheet and the sub-shape’s ShapeSheet visible at the same time, like this! 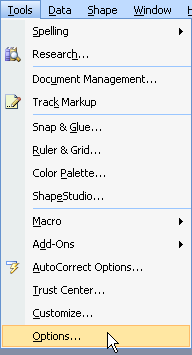 Starting with Visio 2007, certain menu items get hidden when you’re not running in developer mode. Under the Shape menu, you’ll also get the Action item. But you normally right-click shapes to activate their Actions anyway, so this isn’t really a big deal. 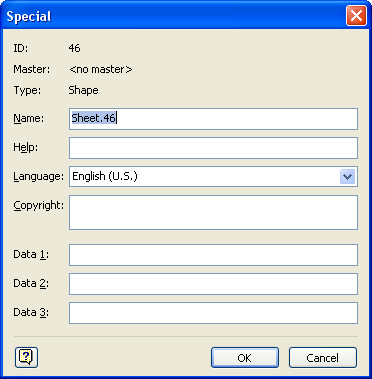 Format > Special is of particular importance, because it shows you the ID and Name properties of shapes. 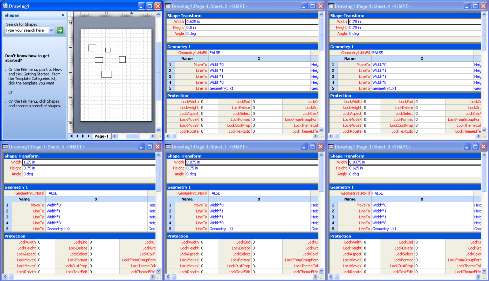 ID and Name are very useful in building cross-sheet references in the ShapeSheet. Where 46 is the ID of the other shape. The Format > Special dialog is the easiest way to find out what the ID of a shape is. You can see the ID field at the top. You can also give a shape a nicer name, like “3 Way Valve”. Then you could reference the shape in formulas using either the ID or the name, i.e. : Width = Sheet.46!Width or Width = ‘3 Way Valve’!Width. #9 You are Now Cool! …at least in the eyes of the Visio Community!